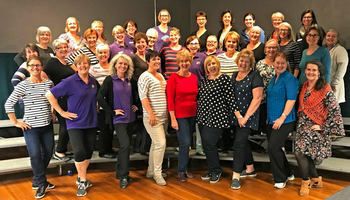 Based in Wagga Wagga, New South Wales, Murrumbidgee Magic Chorus is a dynamic fusion of energetic, fun loving women who sing and perform a cappella harmony. Our repertoire has something for everyone, from hits of the 20th century to popular Australian songs. Under the direction of our Musical Director Judy Ferguson, we sing at a wide range of community and charity events and concerts, and are available for hire. We also compete at regional contests which are held every year at various locations around Australia. 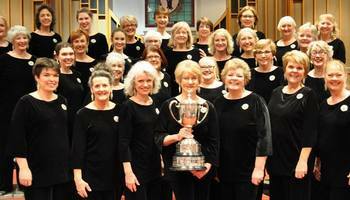 Want Murrumbidgee Magic Chorus to sing at your next function? Why not hire Murrumbidgee Magic Chorus to entertain at your next event? We can perform at corporate functions, charity events, community Entertainment events, birthday parties, christmas parties, awards nights, weddings, anniversaries, engagements, and even funerals and memorial services.